Bangtan Boys have definitely left their mark since their debut last year. From their strange members to their tough style, the group has made a strong impression. Likewise, their dancing has already placed them amongst groups to watch. Even the dancing black holes that are Rap Monster, Jin, and SUGA can’t stop the group from delivering impressive performances on stage. Each dance is different and with each comeback, we see even stronger choreography. Although only being around for a short while, they’ve already given us some memorable dance moves and here are some of the most eye-catching. All the way back to last year (has it really only been over a year? ), Bangtan Boys debuted with “No More Dream.” Although Jimin‘s abs and those chorus hip thrusts will forever be burned into the brain – how can they not? – the moves were mere fanservice. The best dance move is the back run that appears near the end. Why this particular move? A: You have a lift. B: It looked painful for Jin who had to endure the first jump off. It probably wasn’t a picnic for the other members either. C: It fit so well in the climatic bridge to the final chorus. It was a great move done at a great time. They pulled it off fantastically on every stage and the dance is a testament to their strength and resiliency. 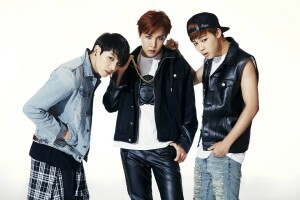 It’s no question that J-Hope, Jimin, and Jungkook are the dancers in the group. Fittingly, during the follow up promotions for “No More Dream,” the choreography for “Bulletproof Pt. 2” gave us a bit of a showcase of their individual styles and skills. The three members each got some time on screen to do their own thing during the break. Some may say that the inclusion of the hat was a bit cheesy, but tricks using props just add life to the choreography. Jimin is often the subject of teasing due to his shortness and general fluffiness. However, when you need to be saved from the oppressive authorities, Jimin is there. In “N.O,” the sequence involving encroaching backup dancers is good storytelling. But it’s Jimin’s part that stands out. He suddenly pops and delivers a spiraling kick to lead the defeating of their enemies. Acrobatic and stylish is a fitting way end to such a heavy song. If you follow BTS, you know member J-Hope earned himself the nickname “Horse” thanks to his performance on Rookie King. During the “Boy In Luv” promotions, he showed an evolution in his horse nature: He grew wings. What better name is there for J-Horse flying through the air than “Pegasus?” Admittedly, there are moments of concern that J-Hope will crash land on the stage (the same goes for the stand-on-the-chair parts during “Just One Day.”) However, he flies majestically. Additionally, Pegasus can drive a car. A stick shift, no less. The particular move may be a bit comical, but that’s why it’s nice. It makes me laugh. I also have an affinity for groups forming machines with their bodies. 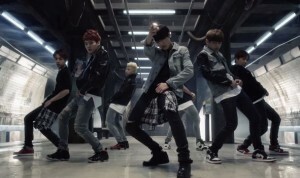 To be truthful, “Boy In Luv” has been my favorite all around choreography to date. It balanced greasiness, seduction, and angst into one impactful dance. Which is why picking favorite moves was difficult. This was BTS’ step into manhood. 5. Bring on the girls! “Danger” is just the latest in the long-line of attention grabbing performances – though I couldn’t pick a favorite move from it. These are dances that will keep you coming back for more. There are of course other moves: like flying Jimin during “Paldogangsan/Satoori Rap” or the O! RUL8, 2? Concept trailer choreography. And even the “All Hail, King SUGA” in the performances for “Jump!” and “War of Hormones.” Whichever song you pick, there will be something there to grab your attention. What about you guys? Do you have a favorite BTS dance move, or even a favorite choreography overall? Let us know in the comments!